What’s the famous quote? “An eye for an eye makes the whole world blind?” Most commonly attributed to Mahatma Ghandi, someone should lend Todd McLellan and Doug Wilson a book of proverbs. John Scott was brought in to San Jose to counter the brutal and physical play of opponents, most likely the Los Angeles Kings. Or so they say. But, John Scott and goons like him will not work in San Jose, or anywhere else in the league. Having a big man that can drop the gloves on your bench is not going to stop someone else from taking a cheap shot at your superstar winger. Heck, what is to stop Dustin Brown from taking another leg to Tomas Hertl this season? Is John Scott going to skate right next to Hertl all night? Probably not, he can’t possibly skate that fast. And even if he does go after Brown after he takes Hertl out for the season, if he injures Brown, then he gets suspended! The logistics of a goon actually deterring someone from is complicated. The mere presence of a guy who might beat you up is supposed to keep you from getting into the head of that superstar who keeps lighting you up. Every player that makes it to the NHL has been hit before. It really doesn’t scare them that much to get hit. So, what value does the enforcer bring? None. The Sharks have had their second scrimmage and John Scott has already made a headline. It wasn’t a good one. While a coach will put spin on the story to say that this type of play brings energy to a club, this is not true. I can guarantee you that a slash to the back of the legs is never “energy” and isn’t a positive by any stretch of the imagination. A fight with your own squad is just that, a fight. What will hurt San Jose even more is the number of roster spots available for Team Teal. Todd McLellan already employs Mike Brown (who actually does even less than Scott) and Adam Burish (when he’s healthy). These guys take away spots from Tyler Kennedy, Freddie Hamilton, and maybe some of the rookies. An enforcer plays about 6 or 7 minutes per game, and those are hardly productive minutes. At the end of the day, it comes down to the comparison to the more “popular” goon, Raffi Torres. The major difference comes from the fact that Torres actually knows what that piece of wood in his hand is called. (Hint: a stick). Torres is a threat to score. He hits people who have the puck and he usually does it legally. He is a forechecker, not an agitator. With Torres on the ice, every inch the opponent moves is earned. Remember back to the early days of last season. The Sharks were matched up against the St. Louis Blues in what many were calling a battle of major contenders. In that game, Dan Boyle was brought down by a dirty hit. He would be sidelined for multiple weeks. But the Sharks didn’t respond with a slew of dirty hits right back. Sure, there was a fight right after that, but that was the end of things. 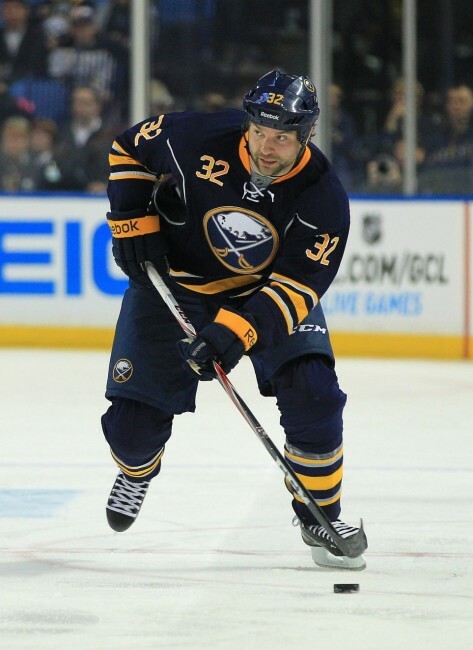 Moreover, a player with offensive upside, Andrew Desjardins, stepped in to fight for his teammate. If our fourth line center, who had 17 points, can drop the gloves for us, why do we need an enforcer that will hardly even touch the puck? What did they do instead? They lit up the scoreboard. They shamed the Blues right out of their own building. This is the way you deal with dirty play in the NHL. It is a shame the Sharks have turned away from that. Hopefully, this is just an experiment and soon enforcers will no longer have a place our beloved game.